As the Karnataka election results came in BJP leading in 106 seats emerged as the single largest party, five short of the half way mark. The Congress with 76 leads announced an unconditional tie-up with JD(S), a distant third with 38 leads. 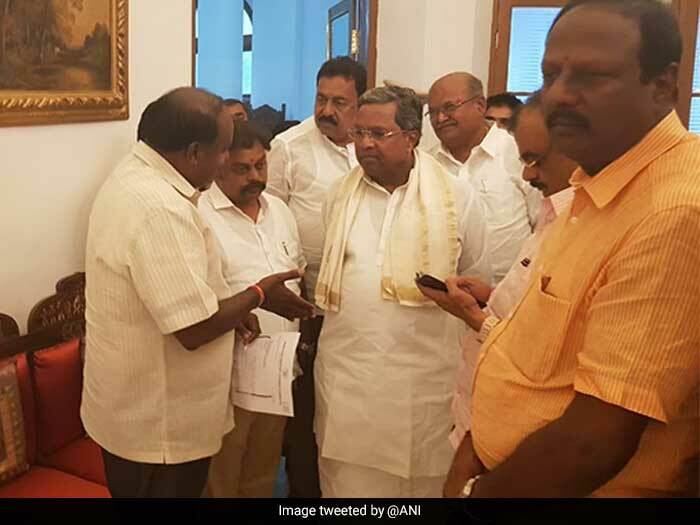 Now both BJP and the Congress-JD(S) combine have met the Governor, Vajubhai Vala, to stake a claim to form the government. Congress announces unconditional support to JD(S) to form the government. 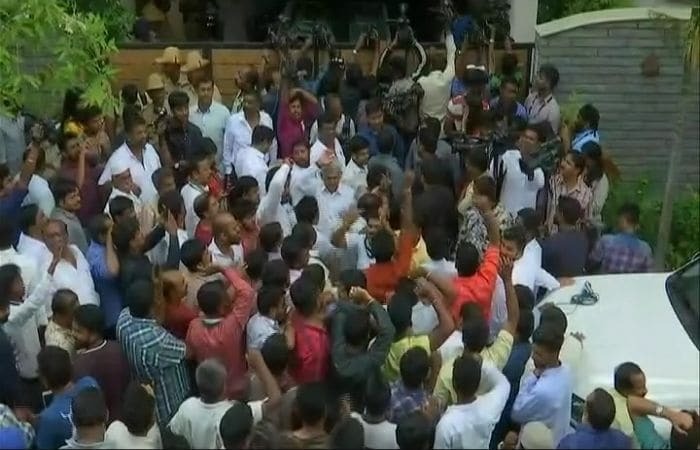 After the Congress announcement rapid change in the scene outside H D Deve Gowda's house in Bengaluru, from being desolate after results to sudden outbreak of celebrations. 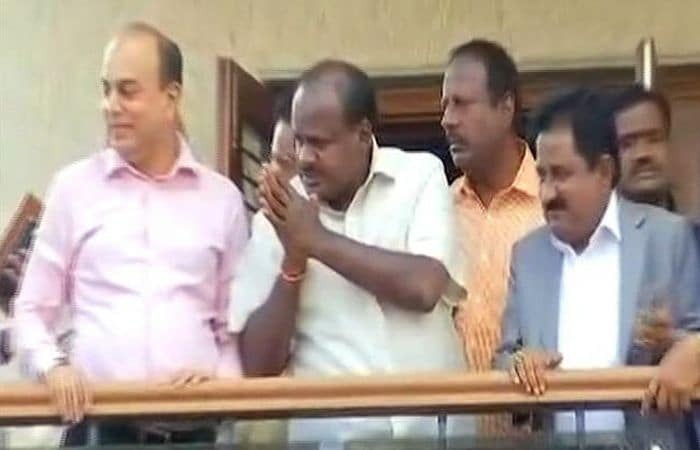 HD Kumaraswamy greets JD(S) supporters in Bengaluru. 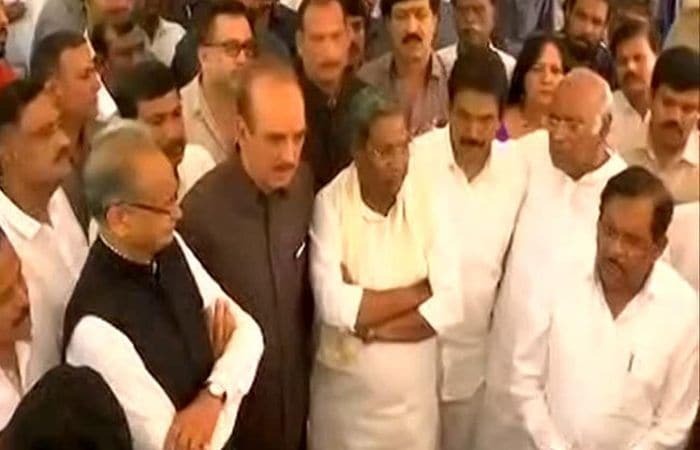 Both - Congress and JD(S) have agreed that HD Kumaraswamy, will be the Chief Minister of a coalition government. 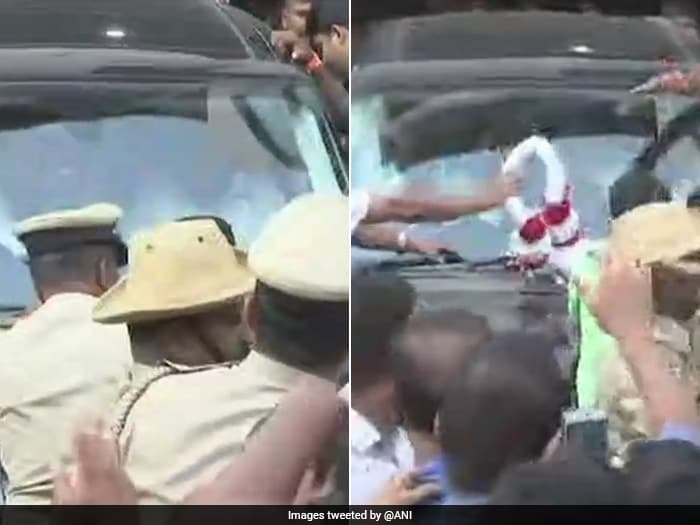 HD Kumaraswamy of JD(S) on his way to the Governor's residence in Bengaluru. Meanwhile, BJP's B S Yeddyurappa says "No time has been given to us. We just want a chance to prove majority on the floor of the house." BJP's B S Yeddyurappa meets the Governor before H D Kumaraswamy and seeks to prove majority on the floor of the House. 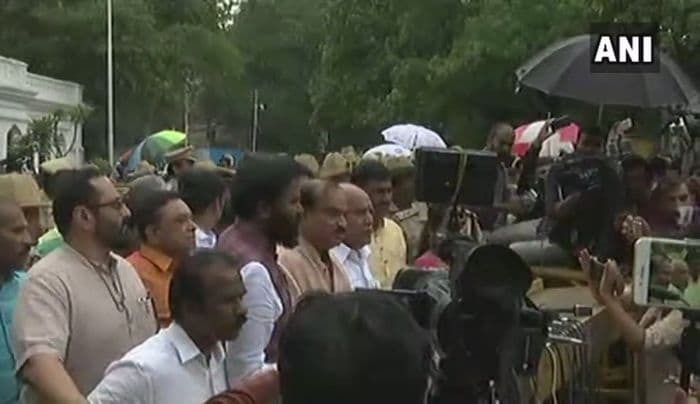 HD Kumaraswamy, Siddaramaiah, Ghulam Nabi Azad, DK Shivakumar and other Congress MLAs inside the Raj Bhawan. "We have submitted a letter to the Governor so as to form government with the support of Congress. 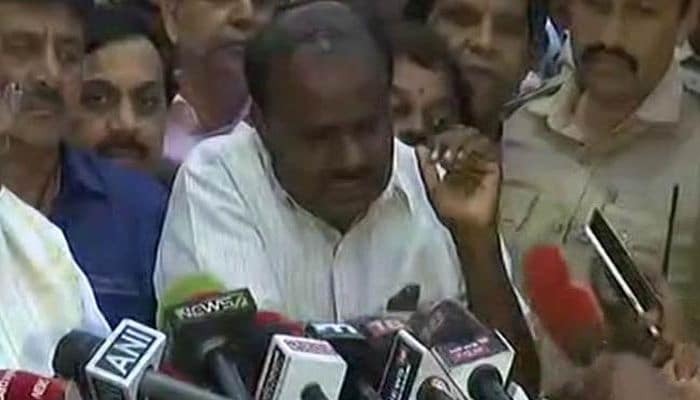 We have both submitted letters so as to seek the permission of the governor", says HD Kumaraswamy, who will be the Chief Minister of a coalition government. Meanwhile, in BJP headquarters in Delhi, the stage is being set-up and there is an expectation that Prime Minister Narendra Modi will address the party workers. 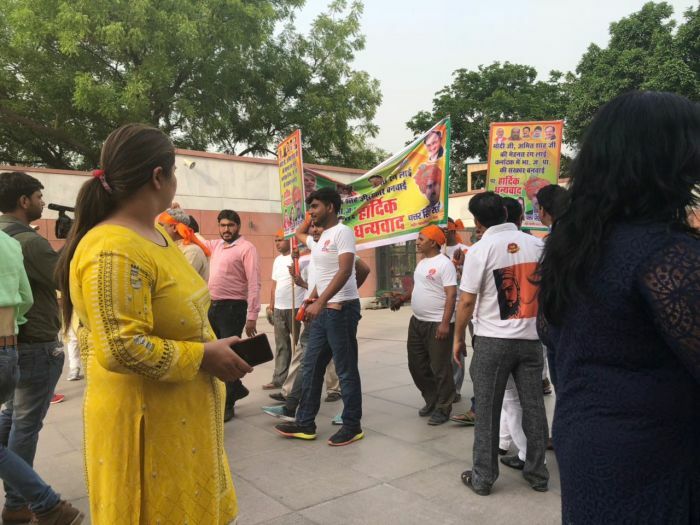 And there are more BJP supporters arriving at HQ Delhi.